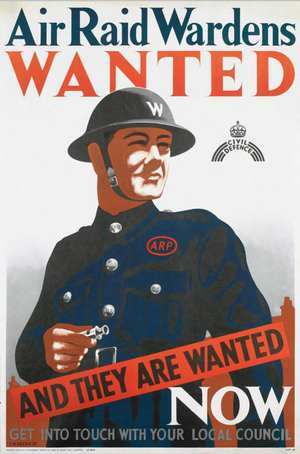 August 1945 was, of course, the last year of the war. 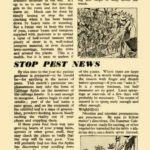 It had been expected to take at least another 6 months to defeat the Japanese. Whilst the Americans were providing the bulk of the forces, Britain was fighting through SE Asia and it was planned to switch forces and material to that front. The atomic bombs that ended the war were a complete surprise to the public and most of the government. Possibly the prime minister and a few others knew what was about to be deployed but it was one of the most closely guarded secrets in the war. 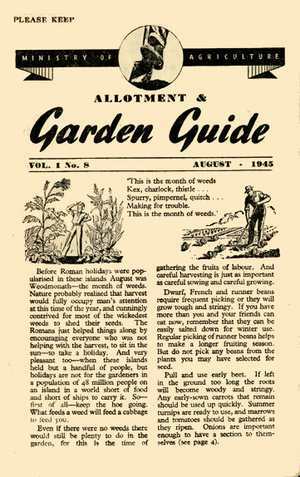 The original August 1945 Dig for Victory wartime growing leaflet consisted of 8 pages which I have followed by reproducing the content onto separate pages. 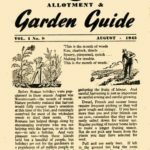 The August 1945 Official Monthly Dig for Victory Guide starts with a reminder to keep on top of the weeds along with tips on what to harvest. 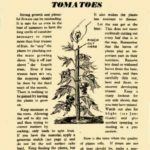 This page concentrates on cultivating tomatoes as the season starts to close. 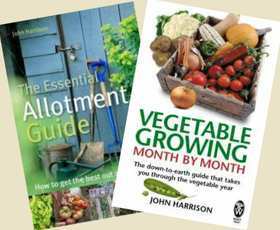 Explains how and when to stop the plants to avoid energy going to fruit that will not ripen and end of season fertilising regime. 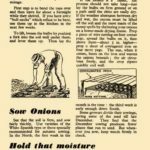 This page covers the harvesting of this season's onions and sowing onions for the next season. 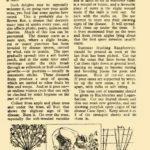 It explains in detail how to both harvest and dry the onions for storage including a great onion dryer design. 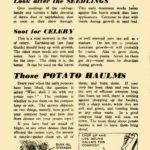 This page covers winter green crops, seedlings and cultivation of celery along with a discussion on composting potato haulms. 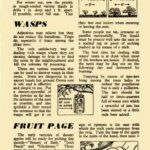 This page from the August 1945 wartime dig for victory guide covers growing spinach and controlling wasps, the curse of a late summer in Britain. 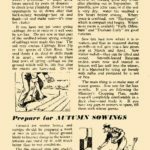 This last page of the August growing guide covers the harvesting and cultivation of apples along with summer fruiting raspberries.